LOOKING FOR COMMENTATORS AND STREAMERS, CONTACT THE TOURNAMENT ORGANIZER ON OUR DISCORD! 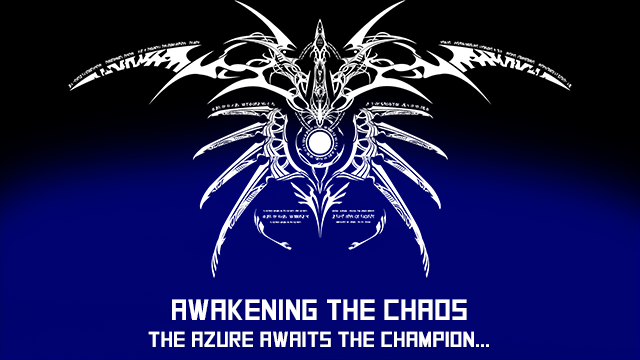 Welcome to Awakening the Chaos Phase VII, the seventh iteration of the European Discord BlazBlue Cross Tag Battle tournament! This is a Double Elimination tournament that includes both the Winners' and the Losers' bracket. All matches will be streamed and commentated, including both brackets and we will most likely have two streams (One per bracket) on Twitch. The Tournament starts at 4PM BST, 5PM CEST or 6PM MSK of Saturday September 22nd 2018. Check-in starts 30 minutes before the tournament starts. The organisation of the tournament will be carried out on a separate discord that will be linked below. All winner bracket matches will be played in the streamer's room using a keyword that will be decided right before the tournament. The losers' bracket will be played either in the same room or on the partner caster's room. The Tournament will be streamed mainly on the main streamer's channel, while the Losers' bracket will be played simultaneously on a partner streamer's channel. All matches (Winners and Losers' brackets) are BO3 (FT2). Winner and Loser Semifinals will be played on BO5 (FT3). Winner Finals and Grand Finals will be played on BO9 (FT5). Loser Finals will also be BO9 (FT5). The losing player can switch their team between games during the set in between rounds and set (ONLY if they lost it). The winning player must stay with their current team (both between sets and rounds). IF YOU ARE NOT FROM EUROPE, BUT WANT TO JOIN THE TOURNAMENT, PLEASE MAKE SURE THAT YOUR CONNECTION IS ACCEPTABLE TO PLAY WITH EUROPEAN PLAYERS (FOR EXAMPLE, NA EAST COAST CAN PLAY DECENTLY WITH EUROPE). Make sure that your Challonge name is the same as your Discord name in order to make communication easier.